Barely Buzzed is a full bodied gourmet cheese that is hand-rubbed with a mixture of ground Turkish espresso coffee and French lavender buds. This rub is diluted with oil and adheres to the cheese beautifully, resulting in a dark warm deep brown color. 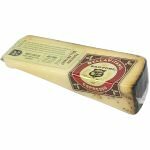 The flavors of the rub delicately migrate into the cheese, resulting in notes of butterscotch and caramel which are prevalent near the rind, but find their way to the center of the cheese as well. Barely Buzzed is an artisanal cheese hand-crafted by Tim Welsh and Pat Ford of the Beehive Cheese Company in Uintah in Utah. 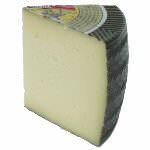 The Beehive Cheese Creamery sits at the mouth of Weber Canyon in a valley between the forested Wasatch Mountains. 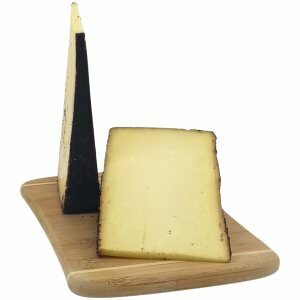 This award-winning gourmet cheese is aged on Utah Blue Spruce aging racks in humidity controlled caves, and moved to different temperature during the aging process to develop texture and flavor. This impressive tasting cheese won already various awards: 1st Place, Flavored Cheddar American Cheese Society Annual Competition 2007, 2008, 2009 and 2011. 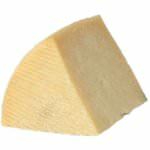 We cut and wrap this cheese specifically for your order in wedge of 1 pound and 8 ounces. Ingredients: Pasteurized cow's milk, salt, coffee, canola oil, cheese cultures, vegetarian rennet, dried lavender flowers.